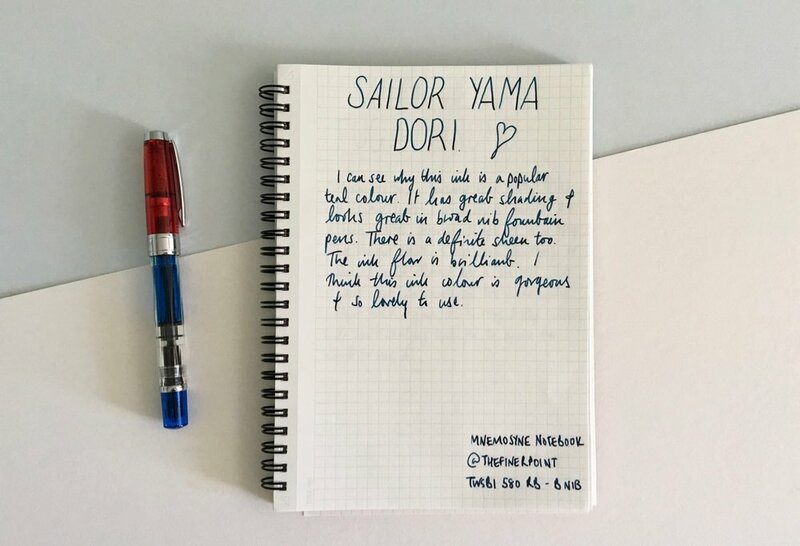 The second review in my Sailor ink mini series is the new Sailor Jentle Four Seasons ink, Fuji-Musume. Fuji-Musume is a pretty light purple colour. I have not tried such a light shade of purple ink before and apart from Pilot Iroshizuku’s Murasaki-shikibu and perhaps J.Herbins Violette Pensee I don’t think the colour is that common. I think it’s the perfect summer ink colour reminding me of flowers such as lavender, clematis and crocuses. When I used this ink for a period of time I found the colour very flat. I played around with some inks drops on tomoe river paper to see if there was any depth and shading but it didn’t show up anything interesting. I have been using this ink in my fine nib Kaweco AL Sport and overall I found the ink similar to the Sailor Blue Black. The ink is wet and flows nicely, I didn’t experience any skipping. The only niggle I did find was after days of not using this ink I did have to work at getting it to flow properly again. It’s not an issue I have had in the past with this particular fountain pen so I can only put it down to the ink drying out in my fountain pen. Finally the other major thing I noticed with this colour is it’s not in the slightest bit water resistant. Drip any water on this ink and your words are lost forever. Of all the inks I could use, this ink hasn’t been tempting enough because I don’t get enough enjoyment from it. I think the colour is very pretty and I could see uses for it for creative tasks but for general use and everyday writing I don’t find this ink exciting enough. To see the first Sailor ink review in this mini series, click here.